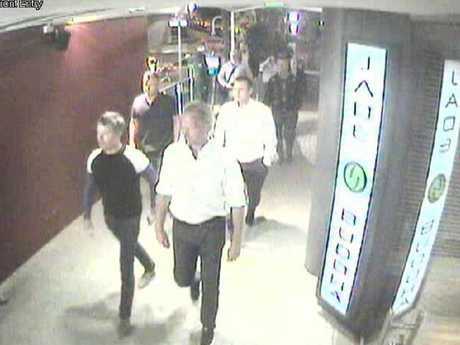 SECURITY footage has emerged showing Crown Prince Frederik's entourage being initially refused entry into a Brisbane nightclub because of issues with the future Danish king's identification. The Crown Prince Frederik (left) and his group enter the venue. 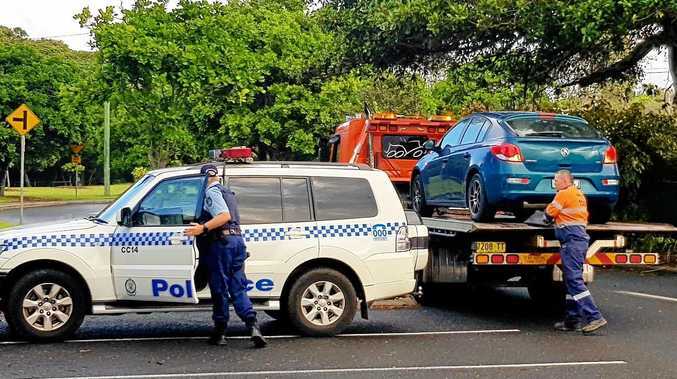 The footage, as well as an incident report from the night - obtained exclusively by The Courier-Mail - reveal the Prince's armed protection detail approached security staff at the Jade Buddha bar about 11.20pm Friday to alert them to his arrival. Venue manager Quinten Robinson said Prince Frederik's entourage were told he wouldn't be able to enter the bar without scanning his ID because of Queensland's strict licensing laws. The group then left. Nearly an hour later, at 12.18am, video footage shows the casually-dressed Prince walking in, surrounded by seven members of the security team.